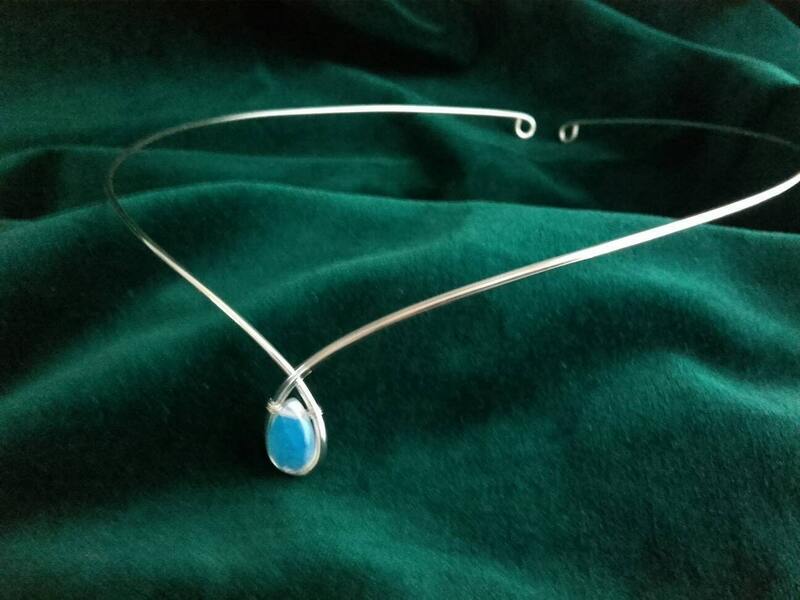 Beautifully simple handmade silver plated moonstone circlet. 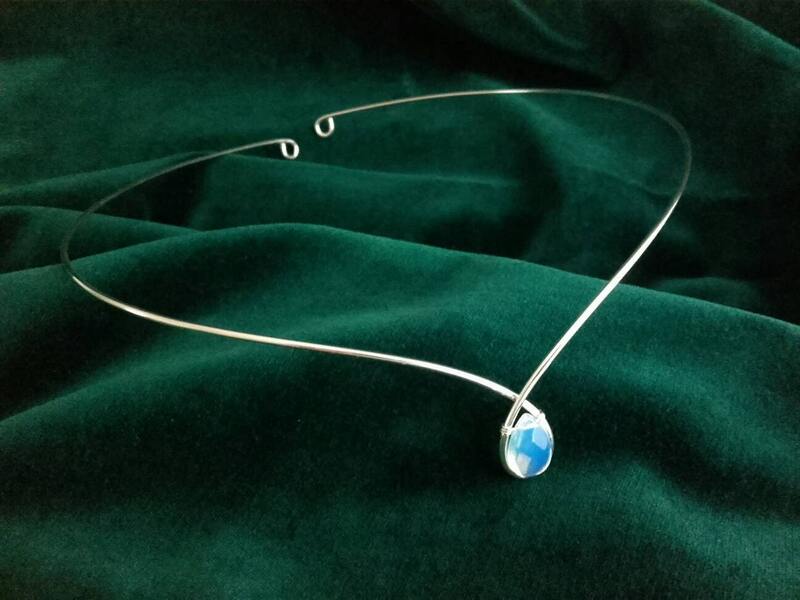 A single peardrop opalite moonstone on a simple silver plated circlet, the circlet is entirely handmade and is flexible for a comfortable fit with loops to allow ribbon or cords to hold it in place. It can also be pinned if preferred. Measurements are approx 53cms (21 inches) in circumference and the center part measures approx. 1.5cms (haf an inch) including the moonstone from top to bottom. Please note that moonstones may vary slightly from piece to piece. Perfect for brides, bridesmaids, re-enactment, elven, faerie, or pagan cermonies. 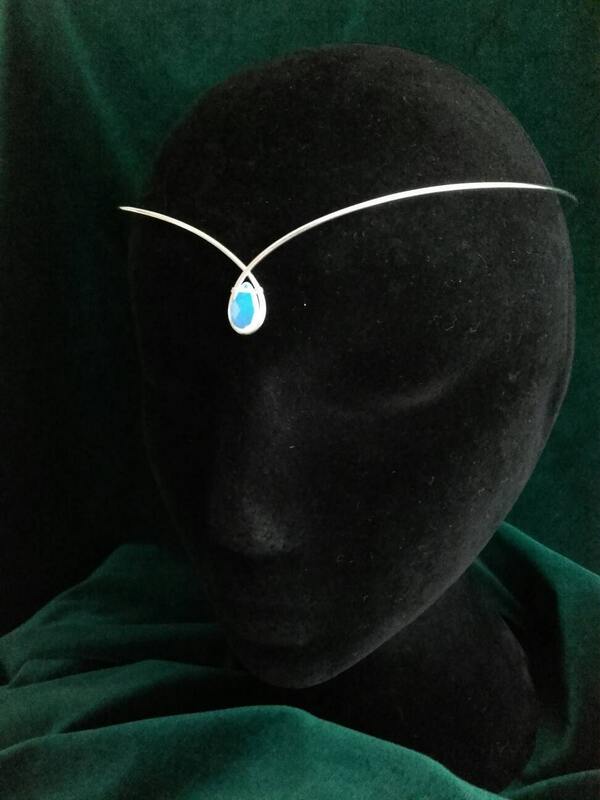 I ordered this pretty circlet for a friend of mine who saw mine and immediately fell in love with this beautiful piece. It fits perfectly and - unlike others - it really stays where you put it, no need to constantly rearrange it on your head. 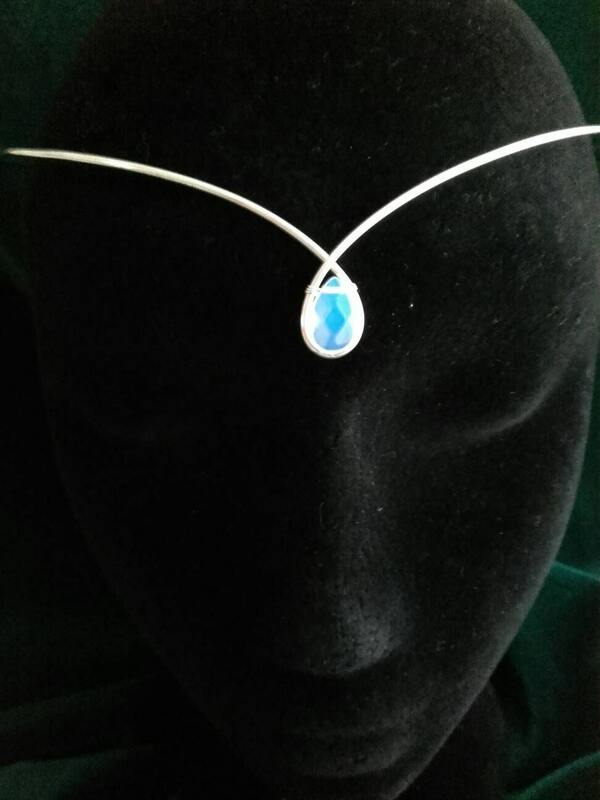 With its clear and elegant design I like this circlet best and prefer it to all other designs.